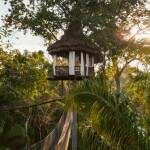 In the Amazon – Iquitos: Treehouse Lodge. From the minute you get off the boat and begin your walk along the grand serpentine entrance, you will sense the uniqueness of this jungle lodge. 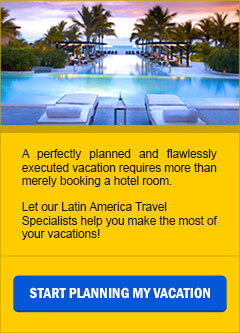 Treehouse Lodge is the only lodge of its kind in the Amazon rainforest; all-inclusive, luxury lodge located at the confluence of the protected Yarapa and Cumaceba rivers near the Pacaya Samiria Reserve. You’ll never forget the experience of watching monkeys and birds at eye level as every morning you’ll awake to a safari of animal life. 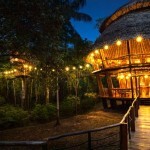 The main lodge is an impressive and beautiful structure that sits in the middle of the vast jungle. It connects to all the treehouses by raised wooden pathways and steel cable bridges. Every bungalow is equipped with showers, sinks, toilets, and clean white linens. On the bottom floor, you will enjoy every meal (prepared in our state-of-the-art kitchen), and be able to lounge around the bar. The second floor will beckon you to sprawl under ceiling fans. Not to worry, the entire structure is enclosed by mosquito mesh so you can enjoy your eating and relaxing time in peace. 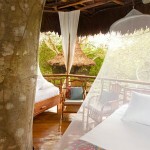 Treehouse Lodge was designed to give its guests the best views of the rainforest and its native animal life. 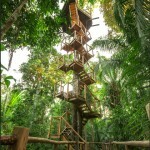 Every treehouse has a lower public platform and an upper private platform where you will stay. 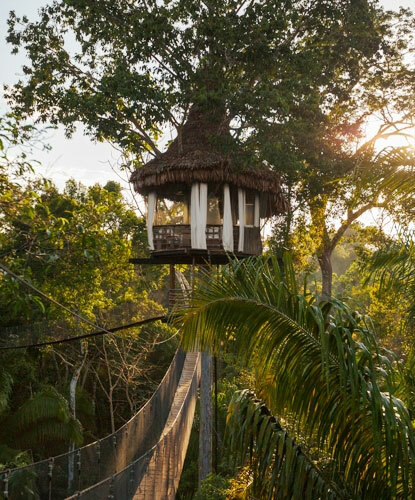 All guests are welcome to explore the main lodge and rainforest canopy from all of the lower platforms connected by bridges. Built with 36 huge beams made from iron wood, the lodge is so strong and dense that it sinks slightly into the water. 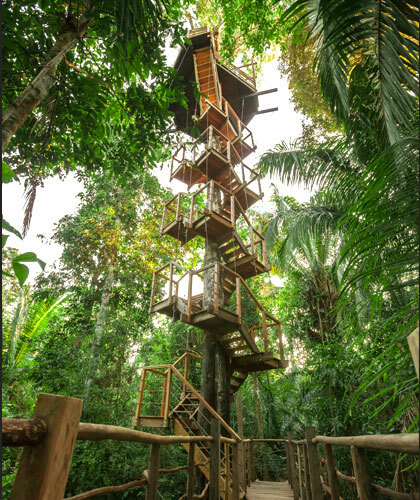 Your personal treehouse bungalow gets you up off the jungle floor and helps you enjoy the airy relief from the heat and humidity.